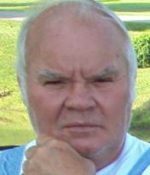 Remembering Clifford Warncke | Remembering Clifford Warncke | De Soto Obituary Search | Dietrich-Mothershead Funeral Home, Inc. Remembering Clifford Warncke | De Soto Obituary Search | Dietrich-Mothershead Funeral Home, Inc.
Clifford Warncke was born September 9, 1945 in Annapolis, MO. He was the son of George Huff and Melba (nee Warncke) Francis. He passed away surrounded by his loving family on January 27, 2016 at his residence in De Soto, MO at the age of 70 years. He is survived by his wife, Marjorie (nee Richardson) Warncke, De Soto, MO; children, Rhonda (Mike) Wilkening, Osage Beach, MO, Brian Warncke, De Soto, MO, and Sarah Warncke, De Soto, MO; brothers; Elvin Francis, Farmington, MO; Gary Francis, Bonne Terre, MO; Darrell (Dee) Francis, Hutchinson, KS; Randy (Sharon) Francis, De Soto, MO; Gerald (Sheila) Francis, Annapolis, MO; and Jerry (Chris) Francis, Annapolis, MO; sisters, Carol (Allen) Siedel, Trenton, MO; Phyllis (Raymond) Forshee, Annapolis, MO; Kathy (Mike) Boyer, De Soto, MO; Terry Francis, WA; grandchildren, Crystal (Jeff) Helms, Joshua Warncke, Christine Wilkening, Abigayle Warncke, and Avery Warncke; one great-grandson, Jonathan Helms. He is preceded in death by his parents; one daughter-in-law, Carolyn Warncke; and one grandson, Anthony Warncke. 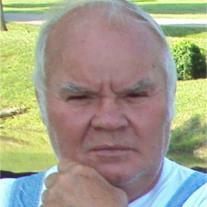 Cliff served in the U.S. Army and was a life member of the VFW Post #1831. Cliff enjoyed hunting, fishing, and spending time with his grandchildren. There are many in the community that called him friend. As an expression of sympathy memorials to St. Jude Children’s Research Hospital, P.O. Box 1000 Dept 142, Memphis, TN 38101.